People are objecting to Hillary's speaking fees because of the amount and the source. I think the amount is a product of supply and demand (there aren't many Hillarys). 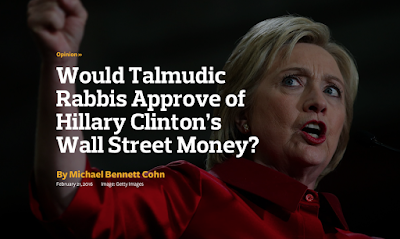 I think the application of the Talmud is wrong in her situation because it is impossible to worry about who is giving you money, esp. for speaking. If it did matter, political figures could not speak anywhere, and that would be worse than the potential conflict of interest. BTW, there is another suggestion in Judaism that you are never to withhold knowledge (or even not give a book away if someone wants it). Milton Friedman had no objection to lobbying, saying that people would lobby from both sides. 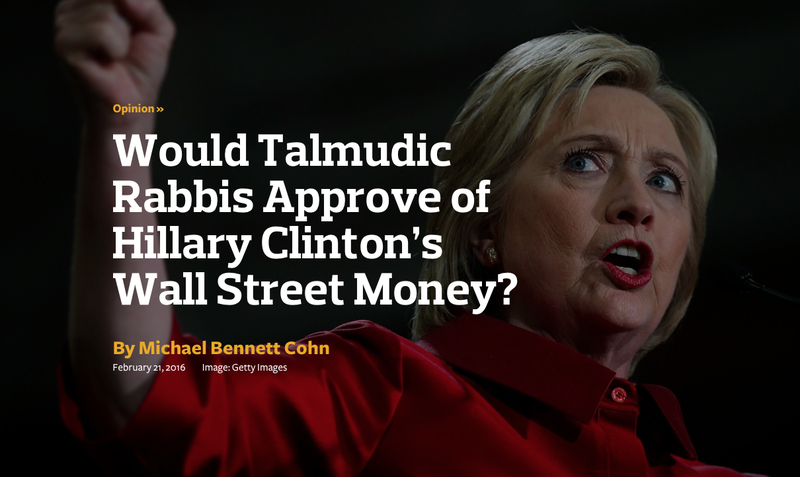 The alternative (outlawing lobbying) would be far worse. We know there will always be an imbalance, but is it the role of government to try to make it even (which is next to impossible)?